Bone loss to the jaw is one of the most serious consequences of missing teeth. It begins as soon as a tooth is lost, when the natural stimulation for bone growth created by the force of teeth chewing can no longer occur. The result can be dramatic—the width of the bone can reduce by 25% in the first year alone after tooth loss. Fortunately, excessive bone loss isn’t inevitable if you lose a tooth. Dr. Tran, DocDental Smiles, can perform bone graft procedures with materials that stimulate new bone growth at the missing tooth site. And, if placed immediately after a tooth extraction, bone graft can prevent excessive bone loss and allow for future dental implants to be placed. Bone grafts are derived from one of four possible sources: the patient, another human being, an animal or synthetic materials. The source used will depend on whichever the dentist believes will work best in the patient’s situation. Donor tissue from another person or animal is thoroughly disinfected and safe for bone graft. 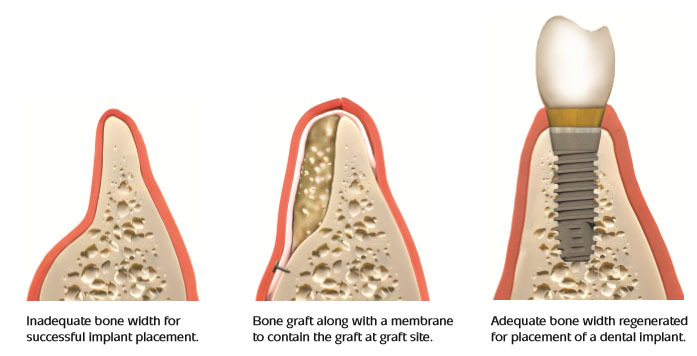 Bone graft itself acts more as a platform for nearby bone to grow upon; the new bone growth will eventually replace the graft material, which is made up of the minerals calcium, phosphorous and hydroxyapatite. The dentist may also cover the graft with collagen membranes to guide the regeneration, or synthetic material that acts with other biologically active molecules in the body to promote healing. These materials are eventually absorbed by the body. Not all bone-graft procedures are alike—the particular approach taken will depend on the location in the mouth, the degree of bone loss, and whether the grafting takes place immediately after removing a tooth (extraction) or if some time has passed since tooth loss. In the case of tooth extraction, one option would be for the dentist to fill the site with bone graft materials after removing the tooth and before suturing the gum in place. Immediate bone graft can limit bone loss during gum healing and facilitate a future dental implant procedure. If the tooth has been missing for some time and the remaining bone is insufficient, the dentist will make an incision in the gum tissue to expose the bone, place and secure the graft along with any planned membranes or growth factors, and then suture the incision closed. Procedures like this are usually performed with local anesthesia. In cases involving the back of the upper jaw, where bone is insufficient vertically, a surgeon may also utilize the sinus cavity just above it as a bone graft site. This sinus can be accessed through the future implant site or laterally through the cheek-side wall of the sinus. There are many more types of bone graft procedures, from saving teeth threatened by periodontal (gum) disease to repair of traumatic injuries, all of which have similar post operative needs. After a bone graft procedure, patients may experience only mild discomfort for a few days, usually managed with anti-inflammatory, non-steroidal medications like ibuprofen. As a precaution against infection, an antibiotic may also be prescribed. 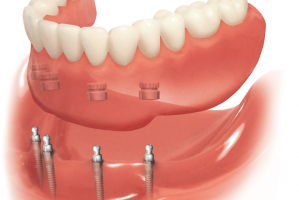 Besides halting a patient’s accelerated bone loss, bone graft could also make possible the best tooth replacement choice available in cosmetic dentistry—dental implants. 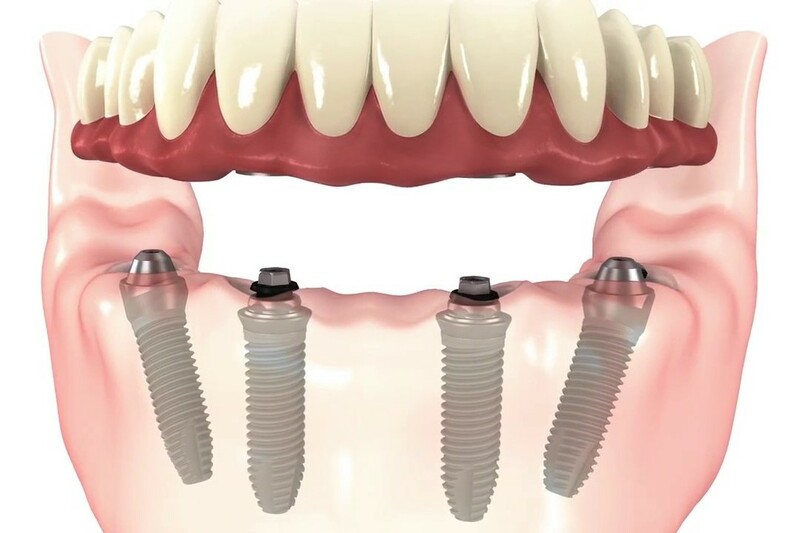 Since their introduction over three decades ago, dental implants have increased in popularity among both patients and dentists for their lifelike appearance, durability and applicability with a number of other tooth replacement options. 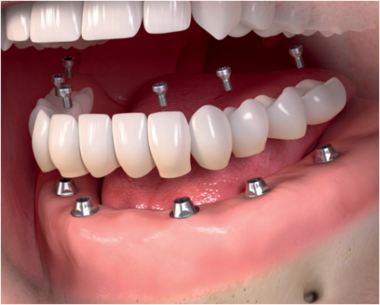 But implants require a minimum amount of bone at the site for proper anchorage, and adequate bone ensures the implant’s eventual crown placement will function properly and appear natural. Bone regeneration through bone graft can improve the bone mass at a missing tooth site to the point that a dental implant becomes indistinguishable from a natural tooth. 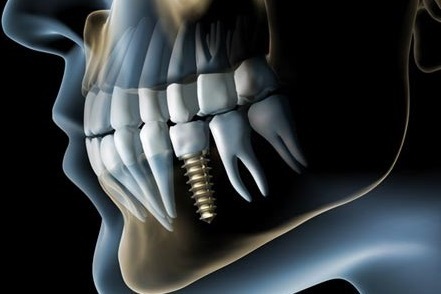 The implant’s unique composition also holds an added benefit for bone health: The titanium post inserted into the jawbone becomes fused with bone tissue, encouraging continued bone growth in the area. Bone loss can harm your oral health and can cause you to look older than you are. But in many instances, bone can be regenerated and strengthened with obvious benefits to both your health and appearance. Bone graft technology and its continuing advancements not only promote new bone growth, but controlled growth for the most optimum result. bone graft can truly create new opportunities for better mouth function and a more attractive smile.